OTTAWA – Brian Masse M.P. (Windsor West) during the debate on Bill-C 55 (An Act to Amend the Oceans Act and the Canada Petroleum Resources Act) raised the issue of the Medical Laboratory Workers strike in Windsor to illustrate the problem of creeping privatization in the delivery of services. Masse along with his Federal colleague Cheryl Hardcastle NDP M.P. 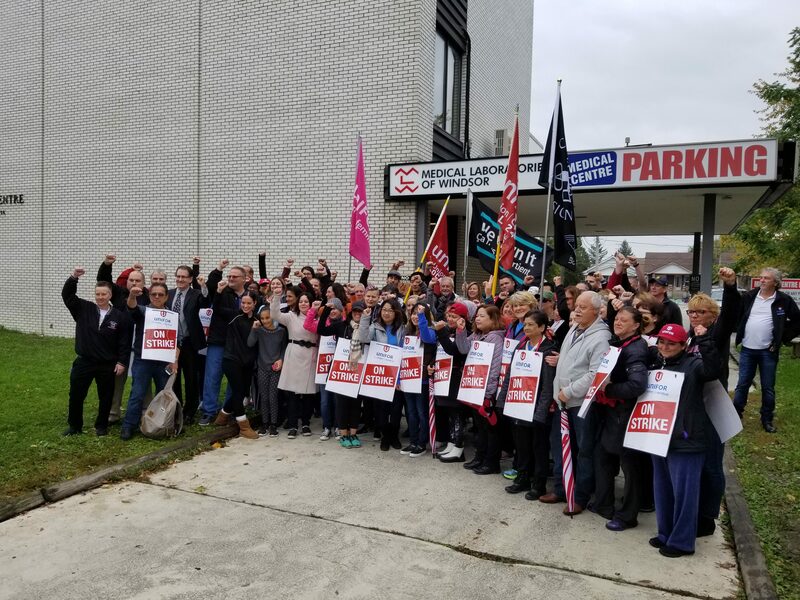 (Windsor Tecumseh) and Provincial colleague Lisa Gretzky NDP M.P.P (Windsor West) recently attended a press conference with the striking UNIFOR 2458 workers. All three New Democrats expressed frustration with the phenomenon of ‘creeping privatization’ within our public services. “The failing of the minimum protection requirements and having the elements related to oil and gas allowed is likened to the creeping privatization taking place. The creeping privatization on public elements, property, and space also happens in our social services and in a number of different of different things. Moving forward Masse will continue to support these workers as they fight for fair wages and New Democrats will continue to fight the creeping privatization of public services in health care and other sectors.